Since Punxsutawney Phil is predicting six more weeks of winter, why not give the season one last hurrah. We tracked down countless wintry pleasures worth bundling up for at 10 great national parks. Read on to find out where you can drive on an ice road, see snow beards on bison, venture out on the best ranger-led snowshoe walks, stargaze some of the country’s darkest skies, and—in case you’re not embracing winter—snorkel in glorious denial. At Yellowstone, the weirdest and most wonderful anomalies happen in winter. Cold air enhances even the smallest steamy thermal feature, and below-freezing temps can turn geyser rain into ice pellets. Frozen hydrothermal mist hangs in the air as ice fog, the sun glimmering through the floating crystals. It coats "ghost" trees, giving them an eerie appearance especially after a dusting of snow. In winter, snowshoe hares turn white, bison get snow beards, and tiny yellow monkey flowers grow near hot springs. If You Go: Take a wildlife excursion in a historic Bombardier snow coach. 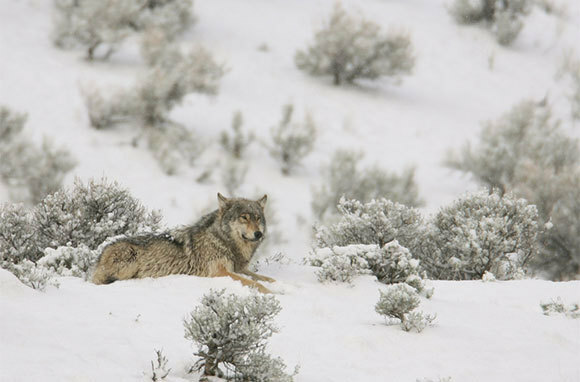 Winter is the best time to see the park's reintroduced wolves running through fields and herding pups in the Lamar Valley. Photo tours lead you to the most dramatic Yellowstone sites. There are also guided snowshoeing and snowmobiling excursions. Two new skier shuttles whisk you to tree-lined trails and geyser viewpoints. 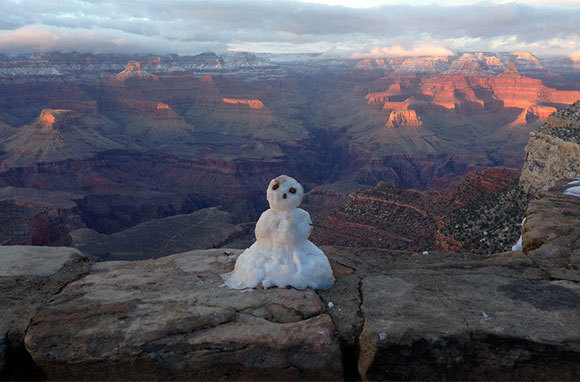 A wonder-filled quiet descends on the Grand Canyon in winter. No traffic clogs the roads, no helicopters whip overhead, and no tour-bus crowds edge into the frame of your landscape shots. Dramatic winter storms blanket the canyon's temples and buttes, bringing a new perspective to the familiar scene. On the Bright Angel Trail, sunny day hikes are glorious. As you head down into the canyon, expect the floor to be 20 degrees warmer than the rim, a difference that can often be unbearable in other seasons but is a delight in winter. This time of year, with the sun lower in the sky, photographers capture the canyon's most dramatic colors and shadows. If You Go: The South Rim is open year-round, and the free shuttle runs from village shops to visitor centers and popular viewpoints. Rates at the El Tovar are discounted 30 percent through March 6, while the hotel, a National Historic Landmark that has hosted several former presidents, undergoes a renovation. 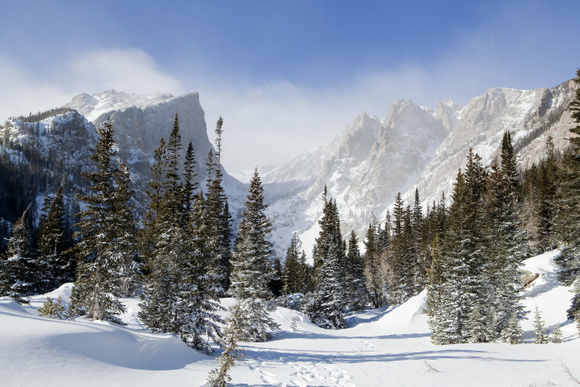 A low-key alternative to Colorado's nearby big ski resorts, Rocky Mountain National Park is a backcountry paradise in winter. You can easily reach remote areas on snowshoes or skis, while hiking boots will suffice for winter treks in the lower elevations of the 250,000-acre wilderness area. Watch for moose along the Colorado River on the park's west side and bighorn sheep along Highway 34 on its east side. Don't miss the frost-encrusted trees along Bear Lake under a full moon. For a more extreme adventure, hire one of Colorado Mountain School's certified guides to take you rock climbing, ice climbing, or winter mountaineering on Longs Peak. If You Go: Rangers lead free snowshoe and cross-country skiing programs. In Hidden Valley, on the bunny hill of a former ski area, sledding is a family tradition. The warming hut opens on weekends. This is one of the few national parks that offers backcountry camping in winter. 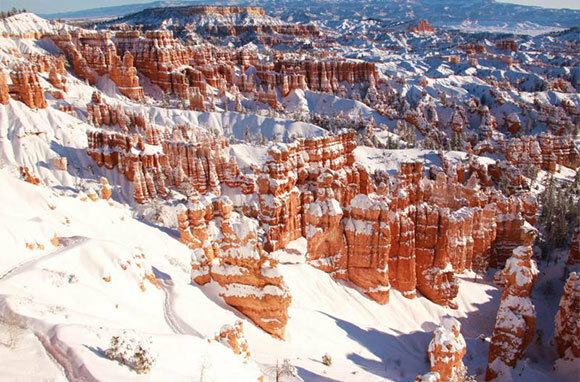 When winter falls on Utah's Bryce Canyon, deep snow blankets the plateau and settles in layers on red-rock hoodoos like striped candy spires. Set against a huge blue sky, the colors are absolutely striking. When you look out across the Grand Staircase, it feels like a Dr. Seuss-inspired planet, one you get all to yourself. On a clear day, you can see nearly 200 miles to the Black Mesas in Arizona. At night, this vast sky becomes one of the darkest in North America. Winter's cold, clear, dry air gives naked-eye stargazers a chance to see 7,500 stars, more than three times what you typically see in the country's rural areas. If You Go: Join rangers every Saturday night for the winter astronomy program's multimedia show, complete with stargazing through telescopes. 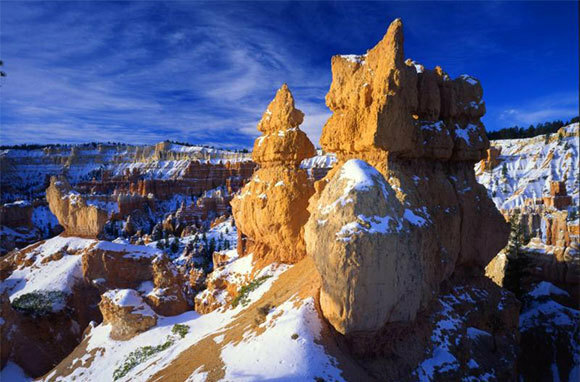 The park's "Dark Rangers" also lead one- to two-hour nocturnal hikes under the full moon, on which you'll see snow-dusted hoodoos illuminated by moonlight. Snowshoe rentals are free throughout winter. You visit Big Bend National Park in winter not because there's anything different to do or see this time of year. 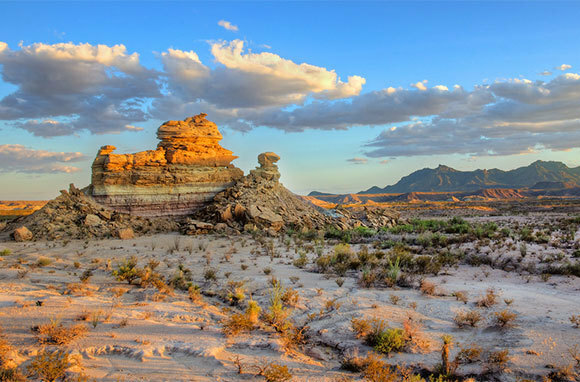 Mountain biking, horseback riding, and river rafting run year-round in this desert at the Texas/Mexico border. You come in winter to tackle strenuously rewarding backpacking treks without soaking a shirt in sweat. It's the only time of year when daytime high temps drop below the upper 70s. The cooler weather brings backpackers who plan multiday trips that include desert hikes, mountain hikes, and river hikes. If You Go: You can explore the Chihuahua Desert, raft the Rio Grande, and hike the Chisos Mountains all in one day. Cruise 100 miles of paved roads to gorgeous viewpoints, or venture out along 150 miles of dirt roads that wind past abandoned buildings and forests of giant yuccas. End the day with a soak in natural hot springs. 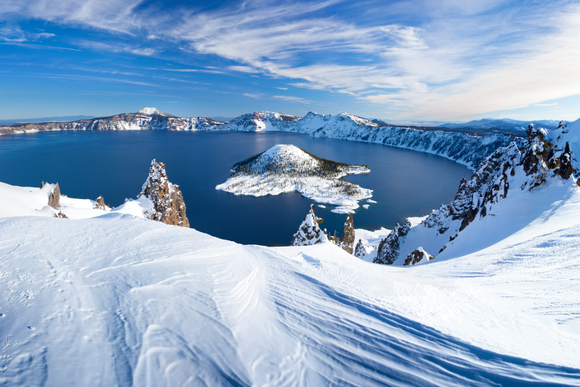 For the ultimate snow day, head to Crater Lake in the remote corner of southwest Oregon, where an average of 44 feet of snow is dumped each year. The white stuff is deep enough to keep the park's north entrance and the Rim Drive around the crater closed until June or July. But undeterred by limited access and lack of cell phone service, earnest snow lovers head to this national park that Backpacker Magazine says is better in winter. On a clear day, the snow-rimmed view of America's deepest lake, which partly fills a 2,148-foot-deep collapsed volcano, is spectacular. And so is the quiet stillness that settles into your soul. If You Go: Rangers lead snowshoe walks on weekends through late April. You can go cross-country skiing on several trails and on Rim Drive during snow closures. Check current conditions before you go. 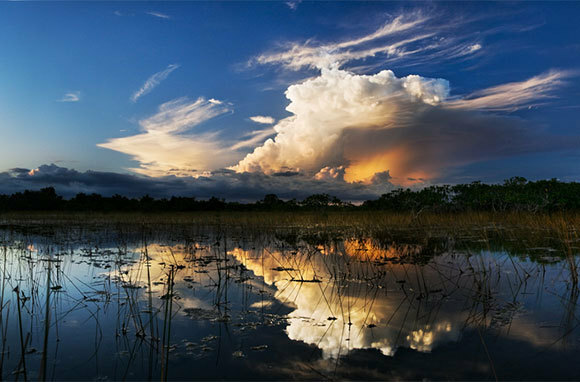 Not buggy or muggy, winter is the best (and, for some, the only) time to visit Everglades National Park. Daily high temps reach 77 degrees on average. Mosquitoes are nearly nonexistent. And alligators can be seen digging their nesting holes during this dry season. As water levels drop, more animals gather around abandoned alligator holes, giving visitors chance glimpses. In winter, birds come from all over the country to nest in trees around the freshwater slough. If You Go: Take a ranger-led starlight walk on Anhinga Trail in the park's Royal Palm area, and watch for pig frogs, fireflies, and gator eyes under the cover of darkness. Free ranger-guided tours also take you through the tree islands in the Shark Valley area. Paddle the wilderness canoe trails in the Flamingo area. In the busy winter season, book tours and rentals in advance. 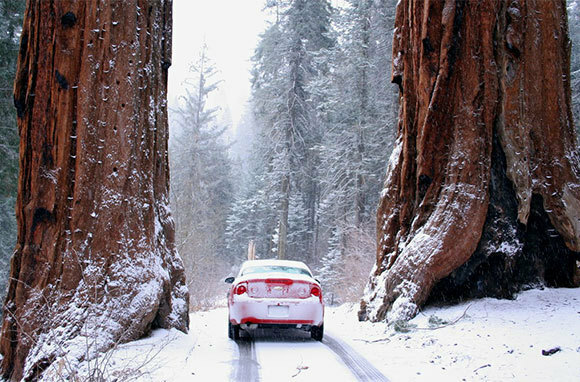 About an hour and a half east of Fresno, in the southern Sierra Nevada range, this magical land of giants is like nothing you've ever seen, especially in winter. Walk beneath the snowy boughs and branches of the world's largest trees—as tall as 26-story buildings, as wide as city streets, and 1,800–2,700 years old. The experience feels a bit like you've passed through the wardrobe and entered Narnia. Huge mountains and deep canyons only add to the dwarfing effect as you take in the view while snowshoeing or cross-country skiing. If You Go: Sequoia National Park provides free snowshoes for the two-hour ranger-guided nature walks that depart from Wuksachi Lodge, where you can also rent cross-country skis. Warm up around a roaring fireplace at the Wuksachi Lodge or in the great-room lobby of the John Muir Lodge. Along Minnesota's northern border, just west of the Boundary Waters Canoe Area Wilderness, this lake-country park is one-third water. Beyond the Voyageurs visitor center there are no roads, only interconnected waterways and hiking trails. In summer, visitors navigate by boat. 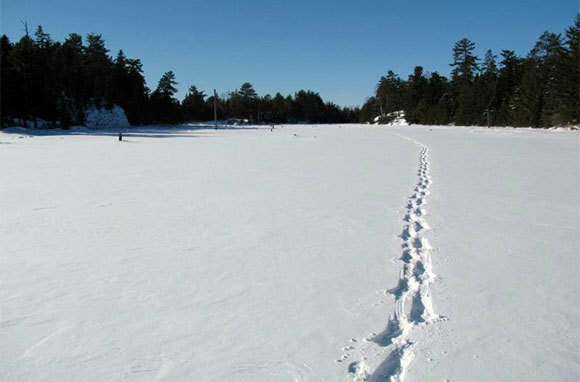 In winter, you can drive your vehicle on official ice roads that stretch across the main lakes dotted with ice-fishing holes and icehouses. Miles of groomed snowmobile, snowshoe, and ski trails lead you around frozen beaver ponds and deeper into sections of forest that can be accessed only in winter. If You Go: Stay late enough for a chance to see the northern lights and hear the sound of timber wolves howling in the night. There are free loaner snowshoes at the Rainy Lake Visitor Center, where you can warm up around a cozy fire with a mug of hot cocoa. Not embracing the cold? 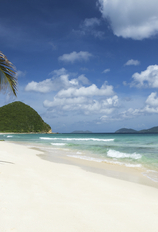 Hit the beach at Virgin Islands National Park, where daily high temps hover in the 80s throughout winter. Covering half of the island of St. John, the park is a lush undeveloped landscape of dense forests and beaches fringed with coconut palms. Dive into the warm, clear Caribbean waters of Trunk Bay, with its 225-yard snorkeling trail that includes underwater signs to help you identify the coral and 30 species of fish that could be swimming around you. In winter, whale-watching excursions spot humpback whales on their migration routes through the Virgin Islands. 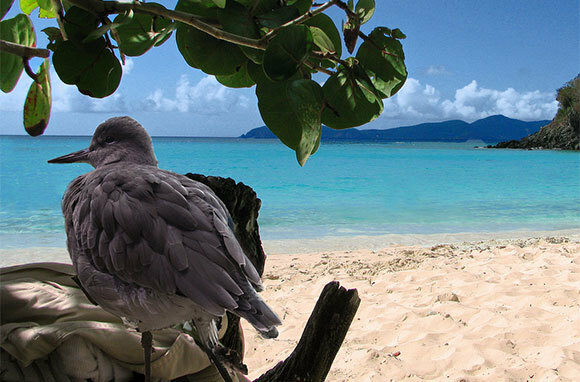 If You Go: On Sundays, a ranger leads a snorkeling tour from Maho Bay Beach and points out various coral formations on the reef. 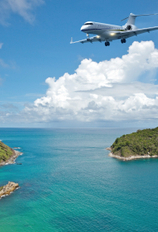 At Trunk Bay, visit either in the early morning or later in the day to avoid hordes of cruise-ship passengers. The beach is home to a bathhouse, snack bar, and snorkel-gear rental shop. What are your favorite national parks in winter? Check out the 2013–14 winter edition of Kurt Repanshek's National Parks Traveler Essential Park Guide for more reasons to love winter in the parks.